LightStim Reviews - Is it a Scam or Legit? LightStim’s handheld light therapy device is claimed to emit skin-safe LED rays that can regenerate cells and combat wrinkles, acne, inflammation, and more. Featured in Elle, InStyle, and Good Morning America, LightStim promises safe, professional-strength LED light therapy treatments in the comfort of your home. Treatments are said to take only minutes a day (per area), for results that can be seen as early as six to eight weeks after regular use. LightStim has been around for over a decade, and claims to be the light therapy device of choice for professional dermatologists, estheticians, and medical offices that treat skin ailments. Their products are manufactured in the US, boast testing in over 200 medical and university studies, and are cleared by the FDA for safe, at-home use. 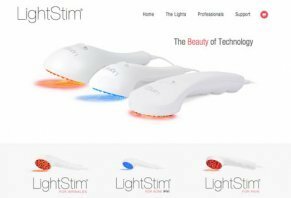 How Does LightStim LED Light Therapy Work? Using patented Multiple-Wave Technology, LightStim devices emit a range of light in wavelengths that work together to increase the effectiveness of their treatments. Treatments are said to feel warm and gentle, and can be used over your entire body. The website claims that skin benefits from UV-safe rays much like plants, absorbing light and turning it into energy. Since humans aren’t adept at photosynthesis (a plant’s process of turning light into food) due to some rather extreme chemical differences, LightStim’s claim of how their product works raises an eyebrow. But What About the Benefits? When performed by a medical professional, light therapy is proven to have many positive effects, including rejuvenating and healing damaged skin. However, there is little evidence that the scaled-down light therapy devices meant for at-home use can deliver the same results. Good Housekeeping performed a six-week study of five leading at-home light therapy brands and found that overall, these expensive devices delivered fewer results than a quality skin cream. Two of the brands did create noticeable results — Evis M.D. Platinum Red LED Rejuvenating Facial Light ($295, department stores) and Tända Regenerate Anti-Aging Starter Kit ($275, Sephora) — however, the losers weren’t named. Finally, keep in mind that FDA cleared only means that LightStim has been “determined to be substantially equivalent to another legally marketed device.” In other words, LightStim’s manufacturer simply submitted a 510(k) application to the FDA and claimed that it’s very similar to at least another product on the market—not that the FDA has reviewed, tested, or approved the company’s devices in any way. Just place the light so that it’s gently touching your skin and hold it in place for the amount of time specified for your treatment. Each targeted therapy requires a different amount of time (acne and wrinkle treatments take three to five minutes, while pain treatments can last up to thirty minutes). After one area is treated, repeat across every desired area. LightStim for Wrinkles and LightStim for Pain both cost $249, with free shipping and handling. While the LightStim for Acne is not yet available, the website says it’s coming soon. LightStim Collagen Peptide Serum ($50) increases the benefits of your LightStim wrinkle treatments using Matrixyl 3000, Thiotaine, Longevicell and Hyaluronic Acid. LightStim Pain Relief Cream ($30) is said to target pain with a natural blend of MSM, glucosamine, essential oils, plant extracts, and cooling menthol. LightStim Beauty Bag ($20) allows customers to safely travel with their LightStim device in style. 9 Volt or 12 Volt Power Cords ($20 each) are compatible with 100-240 volt power sources for convenient use while traveling. The LightStim guarantee only applies to devices that were purchased at full retail value from the official LightStim website. If you purchased your device through a third-party retailer (such as Amazon), you’ll be subject to that specific retailer’s return policy. You must have your original receipt or invoice, in addition to the original packaging and any included accessories. If any of these are missing, you’ll end up paying a 15% restocking fee. To initiate your refund, you’ll first need to call customer service in order to obtain a return authorization number. Should your device break, LightStim provides a five-year warranty covering the of repair/replacement of any device purchased after January 1, 2014. This only includes factory defects, and you’ll still be responsible for all shipping charges. When comparing LightStim against other light therapy devices for home use, the company stacks up well. The LED bulbs never require replacing, so while the price of the device is high, it’s a one-time cost. Customers can also feel secure in LightStim’s reputation and promise of customer satisfaction. While comforting to consumers, there’s still minimal proof that at-home light therapy devices such as LightStim actually deliver the promised results. Though users may see some benefits, the treatment is both costly and time-consuming, while potentially doing no more good than slathering on a quality skin care cream. Two years of use and still loving it. I purchased my LightStim for wrinkles several years ago through QVC. I used it as directed and have been pleased with the results. I had my 65th Birthday last year and am consistently told that I look to be in my 40s or 50s. I use several beauty devices for various functions at home and after having used my microdermabrasion tool, asked one of my coworkers to touch my face that I thought was so soft. She touched my face but instead of remarking on the softness, she remarked on the firmness! My LightStim would definitely be one of my desert island “must haves!" Write a Review for LightStim!